Pets bring you so much love and joy – so it’s natural that some of us get a little carried away when it comes to our adorable fur babies. Do your friends know more about your cat than they do about your significant other? Does your dog have its own Instagram account? Of course they do. Welcome to the ‘crazy pet parents’ club. Those loving, devoted pet parents among us are far from alone. In fact, new Medibank research(*1) shows almost 5 million(*2) Australians are the overzealous ‘Helicopter Parent’ when it comes to their pets, with 43% of owners admitting they worry about their pet a little too much. Released today as part of #LoveMyRescue, the research found that alongside the ‘Helicopter Parent’, other leading pet-owner personalities included the superfit ‘Training Partner’ (27%), the rescue-friendly ‘Saviour’ (22%) and the snap-happy ‘Stage Mum’ (7%). 59% of pet owners revealed their furry friends sleep in bed with them, and 50% refer to themselves as their pet’s ‘mum’ or ‘dad’. More than one in 10 of us push our pets into Insta-fame(*3) – setting up social media profiles(*4) and photo shoots for our beloved companions(*5). Interestingly, these ‘Stage Mums’ are actually more likely to be ‘Stage Dads’ – with almost 500,000 Aussie men in this category (137,000 more than women) (*6). Male pet owners are also twice as likely to spend money on pet pageants(*7). 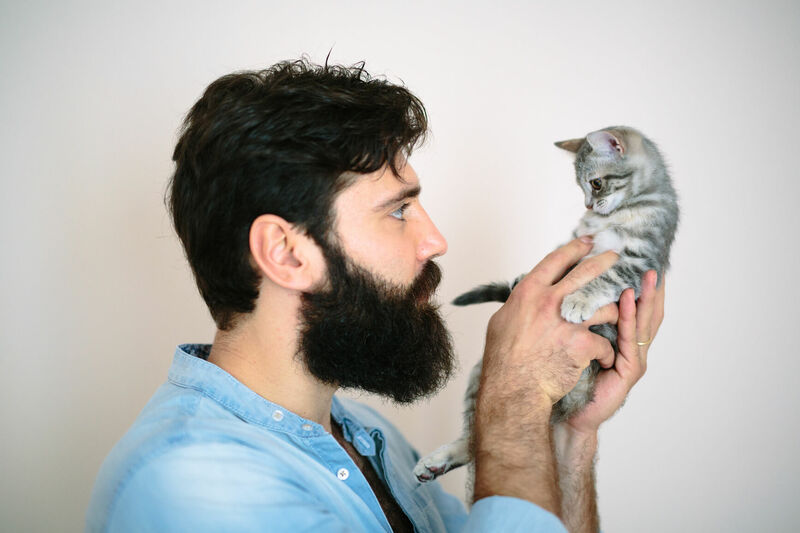 Showing their ‘soft side’, 38% of males also confessed to speaking to their pets in a baby voice. Almost a third of a million(*8) Aussies even said they carry their precious pooches around in a pram or purse – with males and females equally guilty of the habit. With thousands of animals needing homes at this time of year, the data revealed how prevalent pet gifting is in Australia. Despite three in four(*9) Aussies agreeing that pet gifting is wrong, one in five (20%) have given or know someone who has given a pet as a gift, and of those, 22% admit the gifted pets have had to be given away. Animal Welfare League NSW Senior Behaviourist Rosalie Horton says, “Tens of thousands of cats and dogs are currently in rescue shelters and pounds across the country, waiting to be adopted. While the majority (86%) of Aussies say they’d consider adopting a rescue pet, only 30% actually have one. To make pet adoption that little bit easier and encourage Aussies considering a pet to make it a rescue, Medibank Pet Insurance has launched #LoveMyRescue – offering three months of free pet insurance to anyone adopting a cat or dog.